Order the The Foundations of Teaching DVD today for your video library. You can order the online test separately (under Instructor Tools)for just $10.00 and you will immediately receive a Certificate of Completion signed by Swim Lessons University president Jim Reiser and WABC president Steve Graves. Watch the The Foundations of Teaching video online (up to 5 views) then successfully complete this online test and you will immediately receive a Certificate of Completion signed by Swim Lessons University president Jim Reiser and WABC president Steve Graves. Picture this: You and your staff are the "talk of the town!" 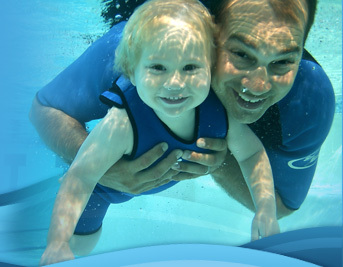 Your learn-to-swim parents are amazed over the progress their children are making in your class. Moms and dads alike-- love, absolutely adore watching their child learning from YOU. The ranting and raving about your teaching starts now! 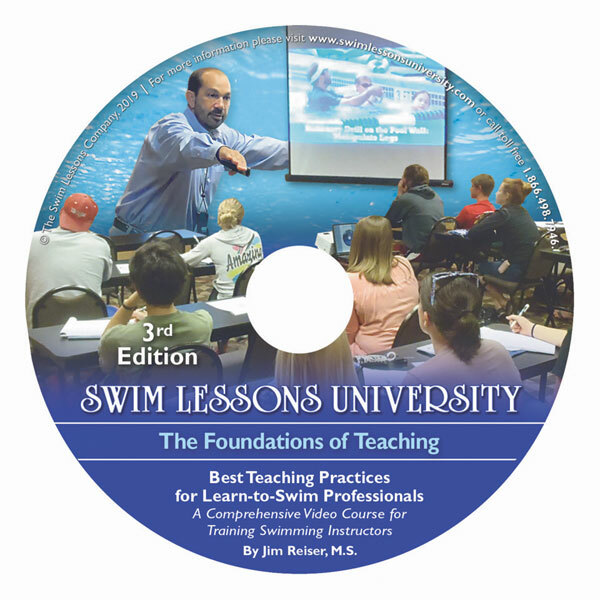 In the Foundations of Teaching DVD video, YOU CAN TEACH LIKE A PRO, the Swim Professor shares with you all his secrets to more effective teaching and how to achieve amazing results! And not only will he tell you about them, he will show you REAL LIFE EXAMPLES! In this dvd video, you see exactly how to do it! You won't believe how easy Jim makes it for you and your staff, covering the most critical aspects of teaching. Topics include Class Management, Choral Responding, Check for Understanding, Instructions, Practice, the Progression Principle, Six Types of Feedback, the best kind of Demonstrations, secrets to Dynamic Presentations, and MORE! Last but not least, the Swim Professor gets right to the point! While this dvd is information-loaded, it is also high energy and fast paced. You and your staff will be new and improved in 40 minutes or less--guaranteed!